Expect to Be Healed, Expect Your Prayers Answered, Expect to Live Again! I never thought I’d survive. My life was a mess, I had no hope, no dreams and no possible future. My husband was beyond violent and I couldn’t tell anyone. My life seemed hopeless. Seeing my life in such shambles, I turned to God. I felt him wiping my tears and holding me close. For the first time in my life, I someone knew my pain and was there for me. For the first time in my life I was hopeful. I saw God’s hand protecting me from a lot of the violence. I saw Him send confusion into my husbands’ mind, I saw Him remove him from the house at other times. God was there protecting me. Those prayers, tears and hope in God saved my life – He came to my rescue. I know now God will always protect me, hear me when I call, and rescue me. He is my God and I am His child. You can know that too for yourself. You may feel alone, but you are not, God is right here with you. He is there to help you through your pain. He will guide you and direct you. 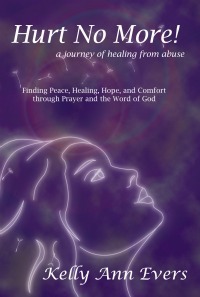 If you are ready to heal from the abuse, please get the book. It’s the answer. 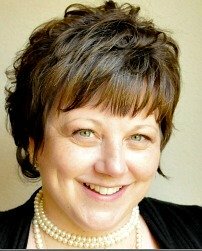 My own personal story, the pain and sorrow I went through, the loss and hopelessness. Find out how much God loves YOU! And how you too can deeply heal with the same prayers I used. Over 120 prayers for healing!